Layonne Holmes is a vocalist who spans multiple genres. She currently leads two bands: The Motor City Revue, an 11-piece band covering Motown & Stax soul; and The New Standard, which honors the jazz standards style by revisioning contemporary and great jazz artists. Layonne Holmes is a vocalist who spans multiple genres, has stage and studio experience and continues to broaden her horizons by working with a variety of talent. She currently leads two bands: The Motor City Revue, an 11-piece band covering Motown & Stax soul; and The New Standard, which honors the jazz standards style by revisioning contemporary artists and great jazz artists such as Billie Holiday, Nina Simone, Sarah Vaughan, Etta James, and more. Please visit her website at www.layonne.com. Layonne Holmes is a singer with a rich alto voice and a repertoire that includes funk, soul, jazz, blues and rock & roll. Layonne has stage and studio experience, and continues to broaden her horizons by performing with world-class musicians and adding songwriting to her credentials. This is her story. Ask Layonne Holmes why she became a singer and she'll tell you it's in her DNA. Her mother, Delores, was an accomplished performer with a long list of credentials, including having been a backing singer with The Bruce Springsteen Band. As a child, Layonne was surrounded ... by music. Although she received her musical foundation in gospel, she was enthralled by the Jacksons, Gladys Knight, Aretha Franklin and Stevie Wonder, among others. As a teenager, she discovered The Police, which prompted her to explore the sounds of rock and other musical genres. However, it wasn't until she was about 18 that she had an "aha" moment, when she heard famed alto singer, Sarah Vaughan, interpret music in ways Layonne had never before imagined. It was then that Layonne realized that there was a place for alto singers. From that moment, there was never a doubt in Layonne's mind that she would pursue music. When she was 22, Layonne got her first check for session work for E Street Band member, Danny Federici. Her mom told her, “You’re a professional now.” More session work followed over the years, with Layonne laying tracks for Fernando Saunders of Lou Reed Band, Vini Lopez of Steel Mill, Bill Chinnock, Steve Delopoulos and John DeGrazio of Burlap to Cashmere, Matt O'Ree, and many others. Much as she loves studio work, Layonne gets a special rush from the audience/performer dynamic. Her joy for her craft comes through in every live performance. Layonne got her first break singing backup with the band Backwoods and subsequently became a member of Love Among Freaks (of “Clerks” movie fame). Soon after, Layonne, her mom and friend Debbie Vaughn formed RAIN, a group whose sound was an electrifying fusion of soul, jazz, R&B, rock and gospel. Layonne parlayed that experience into a critically acclaimed Grand Ladies of Jazz concert show, which featured songs from Sarah Vaughan, Billie Holiday, Etta James, Nina Simone and formed the basis for her next project, The New Standard. At the same time, Layonne began the 11-piece Motor City Revue, a Motown & Stax tribute band that since its founding in 2011, has built such a strong following that it sells out nearly every performance. Additionally, Layonne is a member of Tim McLoone & The Shirleys, a cover band that performs a mix of jazz, classic rock, and "girl group" pop. Layonne’s association with Tim began when she and her mom signed on as volunteers for his non-profit organization Holiday Express, a group that brings music, supplies, financial support and goodwill to those in need. Layonne has been featured in many Rock ‘n’ Soul Revues produced by Bob Bandiera, touring member of the band Bon Jovi. Her work with Bandiera led to an invitation to be a member of Jon Bon Jovi and the Kings of Suburbia, featuring Jon and several Jersey artists doing covers of famous rock and pop songs, including some of Bon Jovi’s own. 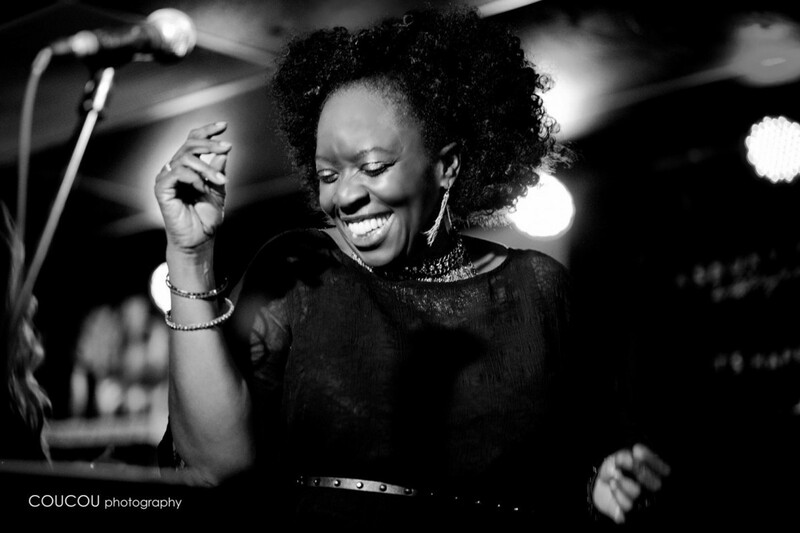 Throughout her career, Layonne has shared the stage with many music industry luminaries, including Darlene Love, Phoebe Snow, Southside Johnny, Gary U.S. Bonds, Ben E. King, Leslie Gore, Marc Ribler, Glen Burtnik, and Beth Nielson Chapman. In 2001, Layonne and her mom were selected to back Bruce Springsteen on the internationally-televised “9/11 Tribute to Heroes” telethon and appear on the album of the same name. Layonne continues to stretch her musical muscles, turning her attention to songwriting collaborations with area musicians. Layonne’s first published song, “Higher Plane,” appeared on the 1999 Love Among Freaks CD, “Representin’ Planet Earth.” Layonne and the New Standard Jazz Quintet often include some of her more recent compositions in their set list. Layonne’s next goal to conquer: recording a solo CD. Based on her successes to date, the CD is bound to be a powerhouse debut….and surely will lead to even more “firsts” in the future. Musical Entertainment Music Venues Wedding Reception Entertainment Birthday Party Entertainment Private Parties Corporate Events Cocktail Receptions Product Launches Trade Shows Christmas Party Events Gala Dinners After Dinner Entertainment.